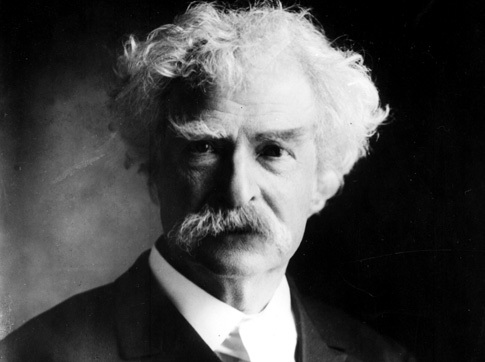 “Whiskey’s for Drinking – Water’s for Fighting” so says Mark Twain. Here in Yakima, we know the importance of water. The diversion of water for irrigation is at the heart of Yakima culture and economic vitality. Recently, Prudential Almon Realty agents heard from Teresa Mitchell of the Department of Ecology. Teresa spoke at Prudential’s monthly Business Meeting about the importance of Water Rights, how they were assigned and how they are lost. She shared what types of wells are exempt from a Water Right Permit, and other details surrounding the legal use of wells for irrigation and consumption. Many homes in our area are served by wells, and some current users are using more water than allowed. Generally speaking, a domestic well can be used for household water, for irrigating a non-commercial lawn and garden of up to ½ and acre, and for watering livestock. With the exception of watering livestock, these wells are limited to a maximum draw of 5000 gallons per day. Wells of this type are exempt from the requirements of a Water Right Permit, but only when used within these limitations. With all the large lots and multi-acre parcels in our area, it’s not uncommon for a homeowner to water a garden that is bigger than the half acre maximum. The local Ecology Department is stretched thin, and they are not out looking for opportunities to enforce the water use regulations, still, fair use of this precious resource is important to all of us. A Water Right Permit is required for commercial or agricultural use of well water. These Water Rights are hard to come by and no new permits have been issued since the 1980’s. The issuance of Water Rights is impacted by all the various competing stakeholders, and since a lawsuit was filed in the 1970’s, water has become a scarce commodity. Those with Water Rights must continuously use the water or risk the loss of the permit due to non-use. If a property is not irrigated for five consecutive years, the Water Right may be lost. This use-it-or-lose-it component of the regulations can catch many permit holders unawares if they stop farming for a period of time. The statue for water rights in our state was written in the 1940’s and most people familiar with modern water use issues claim the statue is too antiquated to serve our needs today and is badly in need of updates. From hydropower to fish and wildlife, from agriculture to land developers, from city officials and members of local tribes, everyone has a vested interest in the fair and conservative use of this scarce and diminishing resource. When purchasing a home, it is important to understand what type of water the property is served by. A public water system can be relied on for safe and consistent water. Well water does not come with a monthly bill (save for the electricity to pump it) but there is equipment to maintain, and the water quality must be tested regularly to ensure it is safe to drink. There is also the possibility that a well can run dry. Most purchasers will include a well inspection contingency in their offer. This allows the buyer to conduct water purity as well as flow test to determine an adequate supply of water. If a well is found to be contaminated, most are easily disinfected. Having this testing done will give a home buyer peace of mind when buying a home served by a domestic well. 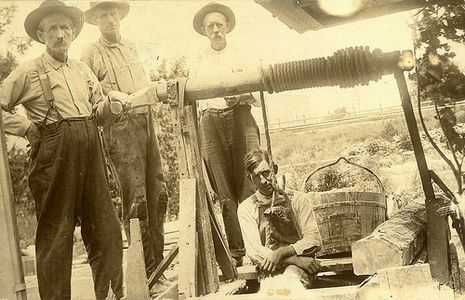 Some domestic wells can serve more than one home. When three or more homes are served by a single well, it is usually termed a “Community Well” and can then be regulated by the Yakima County Health Department. Irrigation water from an irrigation district is very different from irrigating from a well. This is the primary source for irrigation water for most farms in our area, and also serves many of our residential areas. Homeowners served by these irrigation districts have the benefit of low cost water allowing them to grow lush lawns and abundant gardens. This simple resource saves these homeowners hundreds of dollars each year over irrigating using city water. Research on water rights, well logs and other information can be found at the Department of Ecology’s website. Or contact Water Resources personnel at 509 575-2490 who will answer most of the questions you might have. Learn what your rights and responsibilities are so you can be a conscientious user of these precious and limited, maybe even shrinking, resource. Join us this weekend as we hold the Best Homes in Yakima Open for viewing! Prudential Realtors will be at 55 of our best listings, giving you a chance to see more homes in just one day. Find the right home for you! You can access a list of all of our Open Houses here. Or search All Homes for sale in Yakima County here. So we know we don’t need to bribe you or anything. If you’re looking for a home, well that’s reason enough to attend our Open House Extravaganza! But, we wanted to make it fun and exciting too! So here’s the deal, everyone that tours our Open Houses, this weekend only, is eligible to enter a drawing to win cool stuff! So the coolness factor rises if your plans to purchase a home are imminent, because we’re giving away stuff you need! 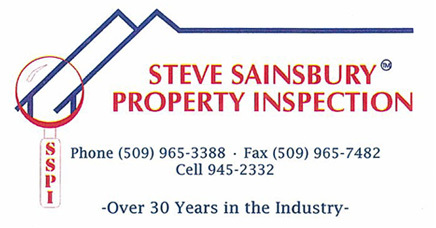 Two of our local Home inspectors have stepped up to provide two lucky winners a Free Home Inspection! Of course we are practically insistent that all of our buyers get their home inspected before they close on their purchase. Yes it’s true, most homes are in good condition and there are no issues to deal with, but once in a while major problems are uncovered by the inspector. The last thing anyone wants is some major defect to be discovered after closing when it’s difficult to solve. But we’ll go one step further, we’re also giving away a Home Warranty! One lucky Yakima home buyer will receive a Home Protection Plan from American Home Shield. This is a service contract that pays for the repair or replacement of certain systems in a home, such as the heating system and air conditioning, the plumbing or electrical and certain appliances. If a covered system or appliance quits working, the Home Protection Plan will repair or replace the item! Details on the Core Coverage Plan can be found at American Home Shield. We think they are great and in fact, I use them on my own purchases! And who can’t use a new Flat Screen TV! Maybe you put it in the Family Room of that grand new home you are planning to buy. Or, it could be reserved for the Master Bedroom! Better yet, your man cave (or for you ladies, for your man’s man cave!) could use the bling of a new Flat Screen! Anyway your slice it the odds for winning are high! You can submit an entry at each Open House, and let’s face it, it’s not like we will have 7 million people trying to win!! We will have maps to the Open Houses available at our office, feel free to stop by! So come on out and see some homes this weekend. We love talking real estate and enjoy showing off client’s homes. Who knows, maybe one of them is right for you? On Thursday five major banks in the home lending business signed a settlement with the Federal Government pledging $25milliion to be used towards helping borrowers with troubled loans. This is a result of a continuing investigation surrounding shoddy foreclosure practices on the part of the industry. The parties to the settlement claim that it will offer help now to borrowers who are seeking loan modifications, who find themselves owing more on their home than it is worth, and includes payments to those who have lost their home to foreclosure. In addition it funds consumer advocacy programs in each state that is a part to the settlement. This Settlement is not a solution for most underwater borrowers, or home owners who are behind on their payments, but it is a step in the right direction. The Administration enhanced their efforts to help these homeowners recently, expanding some of the criteria and guidelines used for HAMP and HARP refinances and interest rate reductions. Their Making Home Affordable programs offer a variety of options for struggling homeowners. Lenders are becoming more receptive to approving Short Sales also. A Short Sale occurs when a homeowner sells their home, but there are not enough proceeds from the sale to pay off the existing home loan. The lender agrees to take less than what is owed, a “short payoff” and in most cases, forgives the remaining unpaid balance. In addition, some banks are encouraging their troubled borrowers to sell their home using a Short Sale, and will pay them to do so! Generally if a bank is going to approve a short sale, they require that the home owner receives no money at closing. They will allow for the normal costs of sale, such as transfer tax, real estate commissions and closing fees. They typically insist that if they are taking a loss, the home owner can’t receive any money at the close of escrow either. However, Chase Bank is the first to actually offer homeowners who are behind on their payments an incentive to get the home sold. They claim to be willing to approve a short sale AND pay the home owner in some cases up to $30,000. Bank of America conducted a trial program last year but we have not learned if they are planning to continue the program or roll it out nationwide. These appear to be invitation only type programs, where the banks decide who to offer the incentives to and contacts them directly. Attempts to opt in to the program voluntarily so far appear not to be successful. Of course, banks are aware that approving a short sale with a cooperative seller is usually much cheaper for them than going through the whole foreclosure process. Not only does it take much more time to foreclose, but the condition of foreclosed homes is much worse typically than a home still occupied by its owner. Fortunately for Yakima, very few homes are actually in foreclosure. Compared to most major metropolitan areas, Yakima’s foreclosure rate is small. Only .73% (less than Three Quarters of One Percent) of our housing stock received a foreclosure notice or was foreclosed on in 2011. In the Seattle metro area, the foreclosure rate is more than triple the rate in Yakima. Realtors at Prudential Almon Realty are trained and ready to help home owners who may be forced into a Short Sale situation. We are here if you know someone who could use our expert advice with this or other real estate questions.